As head athletic trainer for Charlotte Catholic High School in North Carolina, Donna Cure ’17 is responsible for the health of more than 800 athletes. Here she shares how her Master of Health Science in Athletic Training capstone project helped her explore her dream of working in the NFL. “For as long as I can remember, sport has been a part of my life. My father was a three-sport athlete, and he passed down his love of athletics to my four brothers and me. Gymnastics was the first sport I participated in, and it took over my life. I loved to watch all sports, but gymnastics and football were top of the list. 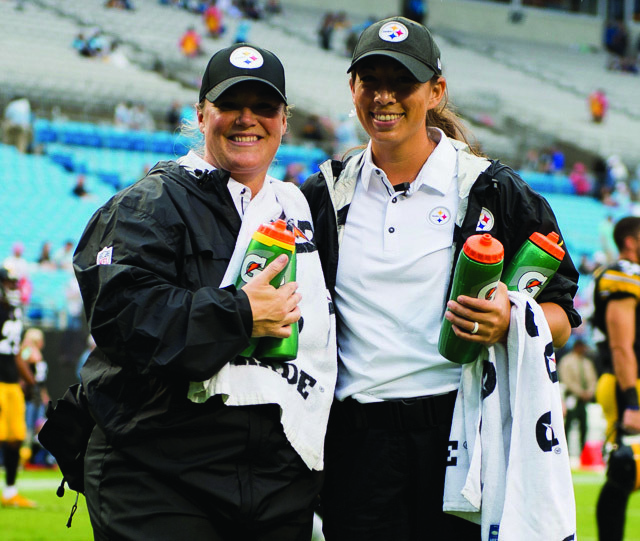 After shadowing one of the Pittsburgh Steelers’ athletic trainers in the off-season, Donna Cure ’17 (left) was invited back to help during a preseason game against the Carolina Panthers. “In college, I knew I wanted to go into the medical field. 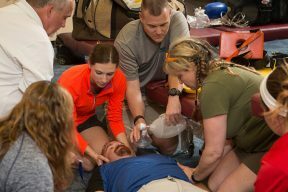 A professor suggested athletic training. After graduating, I took a job as head athletic trainer at a high school. I loved football, no matter the level, but working in the NFL never crossed my mind. I assumed a female would not acquire that position, simply because she was female. “The final project in the master’s program is designed to help further your career. With the help of my professors, I contacted all six female athletic trainers who had experience in the NFL. In February, I received word from Sonia Ruef that I would be allowed to shadow her for a week with the Pittsburgh Steelers! “The night before, I got only an hour and a half of sleep, but my nerves were put at ease when I met Sonia and the staff. They were all very kind and welcoming. As each day passed, I learned more and more. I taped, treated, and stretched players. We attended practice and provided water to players. 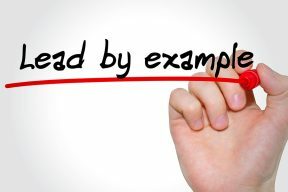 There were modalities that I was unfamiliar with, but I was able to treat players once I learned how to use them. The experience was more than I could have asked for. I knew this was a job that I could love.